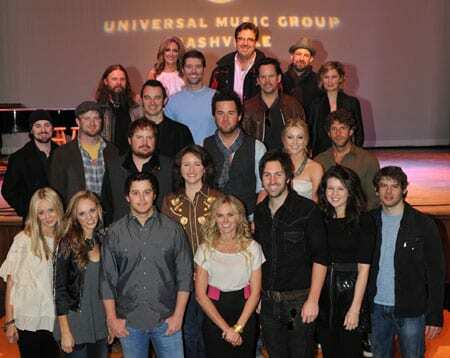 Universal Music Group Nashville showcased 18 acts during their CRS luncheon yesterday (2/24) at the Ryman auditorium. 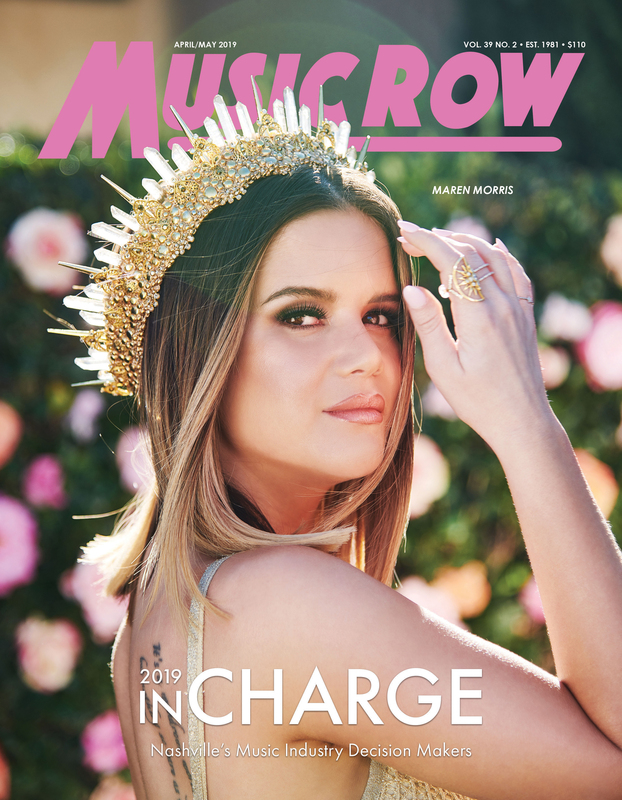 Artists included Easton Corbin, Laura Bell Bundy, Josh Kelley, Coldwater Jane, Randy Montana, Mallary Hope, Ashton Shepherd, Randy Rogers Band, Ryan Bingham, David Nail, Julianne Hough, Billy Currington, Jamey Johnson, Gary Allan, Josh Turner, Lee Ann Womack, Vince Gill and Sugarland. CMT and Big Machine Label Group joined forces on Tuesday night (2/23) for a CRS after-hours event at the CMT offices that included new music from acts on Big Machine Records, The Valory Music Co., and Republic Nashville. The evening included performances from Jewel, Steel Magnolia, The Band Perry and Eden’s Edge along with special guest Melissa Peterman. Others in attendance included Jack Ingram and Justin Moore as well as CMT’s new Top 20 Countdown host, Evan Farmer. CMT Radio Live’s Cody Alan was broadcasting live during the event and featured interviews with all performers. Warner Music Nashville staffers and guests gathered at the home of John Rich (aka Mt. Richmore) for a CRS showcase performance from new act the JaneDear Girls. 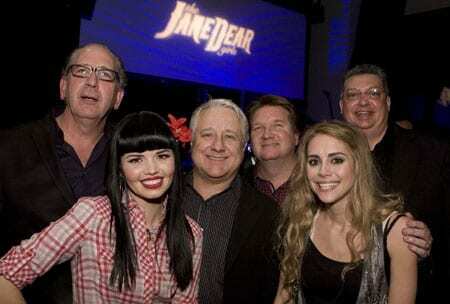 (l-r) Warner Music Nashville President John Esposito, the JaneDear Girl's Susie Brown, Managers from Turner Nichols Management Doug Nichols and Trey Turner, the JaneDear Girl's Danelle Leverett, and Warner Music Nashville VP of Promotions Bob Reeves.